Washing the dishes is one of my least favorite household chores. I know, I know…It only takes a minute but I just dread it. I could always use a dishwasher for cleanup, but the whole process still requires more effort than necessary. After all, dirty dishes won’t load themselves into the dishwasher. You still do all the work! Apart from that, dishwashers tend to be expensive and bulky; they don’t suit a minimalist house because they are clutter magnets. The same thing goes for tabletop dish-draining stands, which wastes precious kitchen real estate. Then I discovered a simple Finnish innovation that made one of the most dreaded kitchen chores bearable! In the 1940s, Finnish inventor Maiju Gebhard found that the average household spends about 30,000 odd hours manually washing and drying dishes over the course of a lifetime. To minimize the hassle of cleaning up the kitchen, Gebhard developed a dish drying cabinet that made manual dish washing virtually unnecessary. The innovation – called an Astiankuivauskaappi – is a dish holder, a dish draining rack and a dish cabinet all rolled into one. 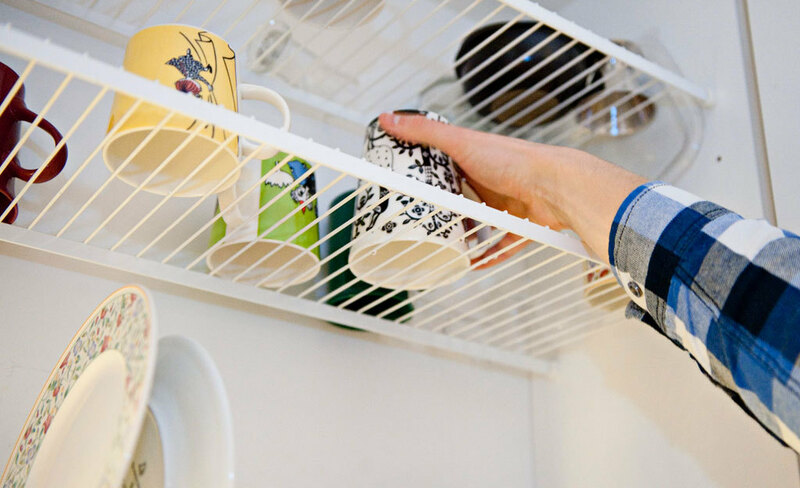 The bottomless cupboard sets all the dish cleaning, loading, and drying in one place. The Astiankuivauskaappi is set above the sink so it’s always within easy reach. It features a clean, compact design, able to fit even the tiniest of kitchen space. Astiankuivauskaappi is not only cheaper than a dishwasher, it’s also discreet, stylish, and practical. 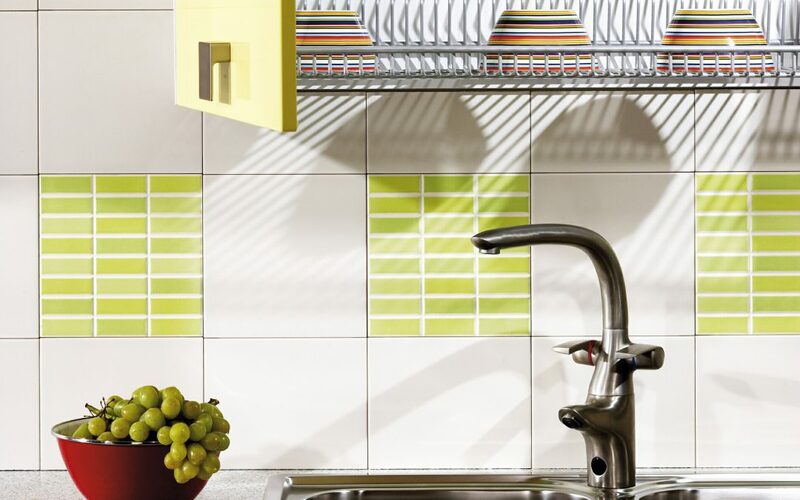 The Finnish drying rack was inspired in part by a Swedish dish-draining holder, which is always set on the counter. Gebhard noticed that Swedish families were not using the dish-draining holder as a dish holder/dryer at all. 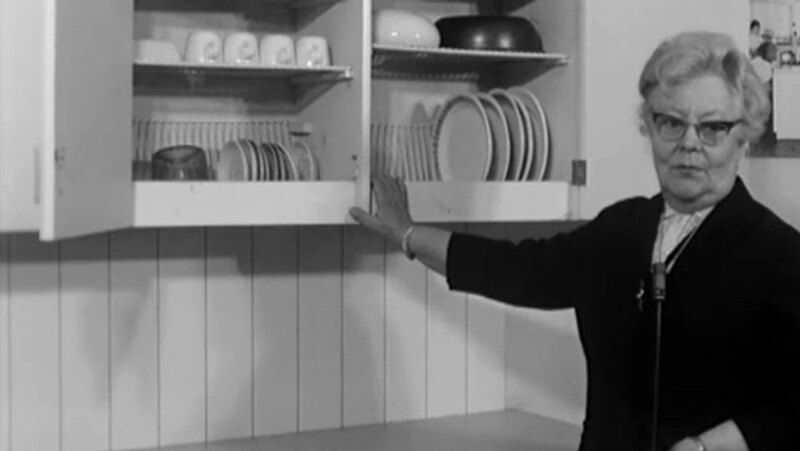 They are still washing and drying the dishes by hand before storing them in the cupboard or cabinet. This means the dish-draining holder was only wasting space on the kitchen counter. 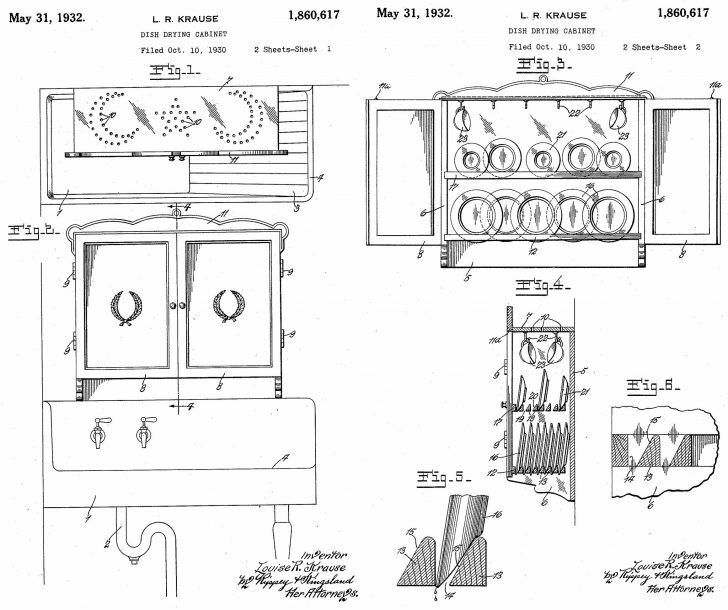 The inventor tweaked the dish-draining holder’s design and changed the set up so the dish cabinet is configured above the sink. The clever setup eliminated the need for a separate tabletop dish-draining stand to catch drips as dishes drain and dry in place. 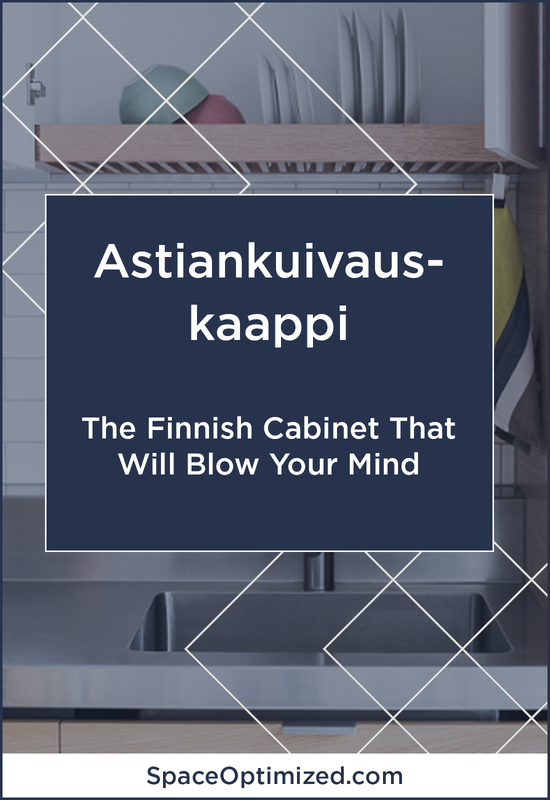 Since the Astiankuivauskaappi also works as a cabinet, there’s no need to unload the clean and dry dishes to a cupboard. 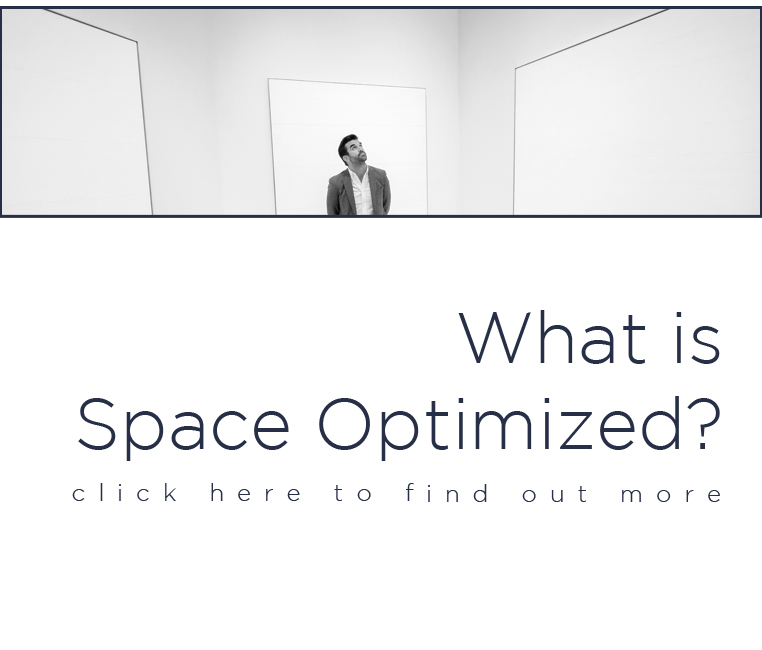 The design was deceptively simple but it was able to minimize the time it takes to tidy up the kitchen significantly. 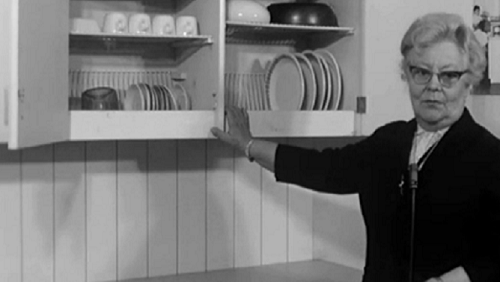 In short, Maiju Gebhard revolutionized the way the Finnish deal with dirty dishes. The Astiankuivauskaappi was such a hit, it was declared as one of the most important Finnish inventions of the millennium. The first Astiankuivauskaappi was built using wood. The newer versions of the groundbreaking kitchen essential are made with coated metal wires or plastic. The Astiankuivauskaappi is a standard in Finnish homes but it remains elusive stateside. Some believe Finnish modesty is the reason why it’s not as well-known as other Scandinavian innovations. 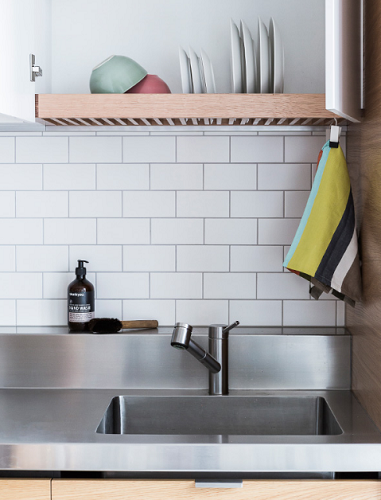 Don’t let a messy kitchen ruin the aesthetic of your minimalist house. 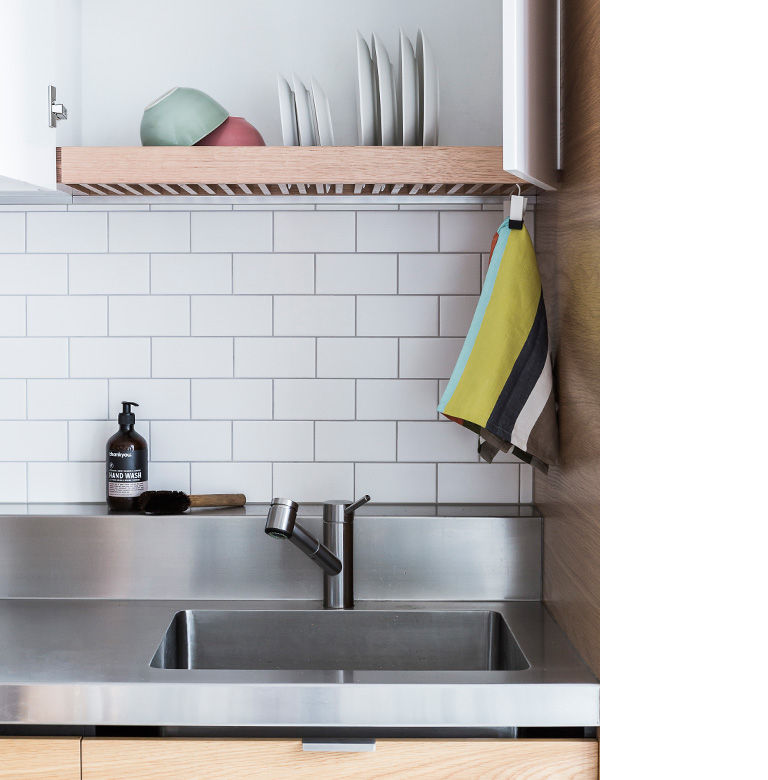 If you want a kitchen with practical, space-saving features, the Astiankuivauskaappi just might be the thing you need to complete your smart kitchen. The discreet design means it’ll look perfectly at home in a minimalist house.